NiftyGridZPro allows you to restrict a product grid to products from a specific department. 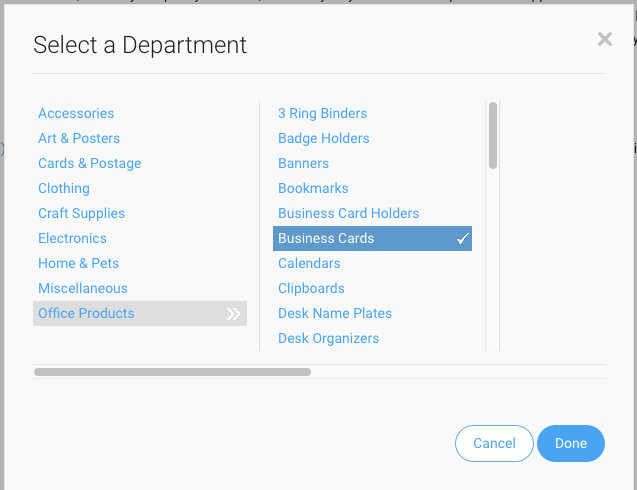 For example, to restrict it to just business cards, you use the shortcode option: department_id="252055618931521092"
So the next question is, how do you find out what the department id is for the products you want? You can stop navigating before you get to a specific type of product and that way you’ll get all product types within the department.